Dr. Ramiz S Putrus, MD is a Doctor primarily located in Alpine, CA, with other offices in San Diego, CA and Warren, MI . He has 34 years of experience. His specialties include Family Medicine. He speaks English. The overall average patient rating of Dr. Ramiz S Putrus is Good. Dr. Ramiz S Putrus has been rated by 71 patients. From those 71 patients 16 of those left a comment along with their rating. The overall rating for Dr. Ramiz S Putrus is 3.5 of 5.0 stars. I was diagnosed with a blood disorder by Dr. Putrus and was referred to Dr. Fata for blood work. I was told I have low platelets and would need chemo asap. After a few treatments, I decided to stop because I just felt nothing was wrong with me. Turns out I was right, Dr. Fata was mistreating me to collect thousands from my insurance and I was being treated for cancer when I am perfectly healthy. It's because of Dr. Putrus that I went to Dr. Fata. I am personally gonna take care of Dr. Putrus in my own way and in my own time. I want to warn anyone who is seeking medical treatment from these two to stop and go somewhere else. These so called doctors are just collecting from your insurance to become rich. They don't care who they hurt or bury as long as they're making money. I personally got lucky but can't speak for the rest of the ones that weren't so lucky. I am currently filing a lawsuit against these two and will donate anything i receive to help cancer. My goal is to make sure these two don't hurt anyone ever again. Dr. Putrus provides comprehensive geriatric, pediatric and adult medicine treatment and care and encouragesopen communication as a key to building a strong patient-physician relationship. 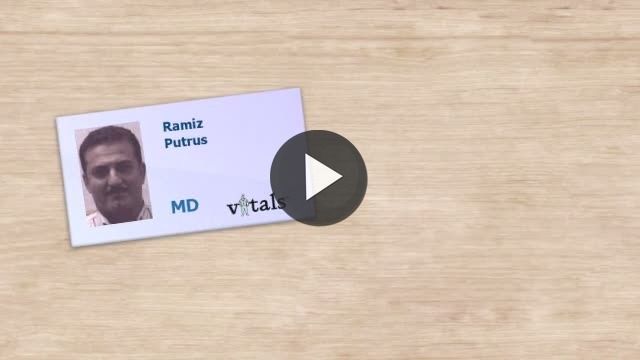 Take a minute to learn about Dr. Ramiz S Putrus, MD - Family Medicine in Alpine, CA, in this video. Dr. Ramiz S Putrus is similar to the following 4 Doctors near Alpine, CA. Have you had a recent visit with Dr. Ramiz S Putrus? Select a star to let us know how it was.